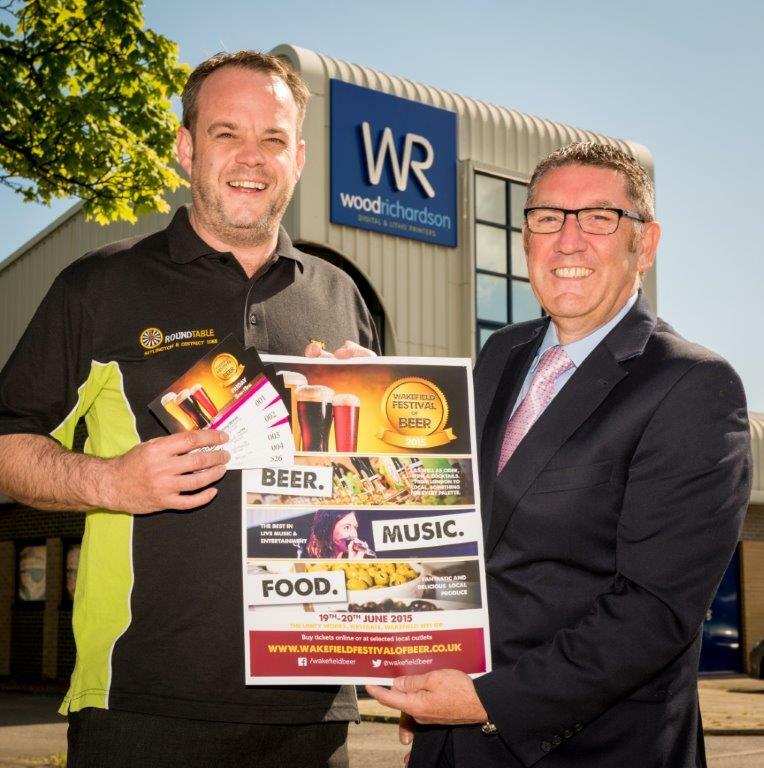 Printing experts, Wood Richardson, have announced that they have become the printing partner and one of the Silver Package sponsors of the popular Wakefield Festival of Beer, due to be held at Unity Works in the centre of Wakefield on 19 and 20th June 2015. Levi’s Star, a children’s brain tumour charity which was established in memory of Levi Ringer, who tragically lost his precious life to a brain tumour, at 6 1/2 years old. Levi’s Star supports children with brain tumours and their families throughout Yorkshire. Wakeﬁeld Hospice, which is committed to providing the highest level of symptom management and care for people who have advanced active, progressive and life threatening illness. Round Table Community Service, which supports people, community groups and worthy causes in and around the Wakeﬁeld area. As part of their sponsorship package, Wood Richardson have produced all the posters and tickets for the event, plus all the barrel labels which will be displayed on the kegs. Each of the items has been produced on the company’s digital printers, enabling quick turnaround and a high quality finish. Promising to offer a larger and more diverse range of beers than ever before, the Festival will be showcasing around 80 beers and ciders to up to 700 guests per session over the two days, accompanied by a range of artisan street food and live music. Last year the event raised over £7,500 for the three charities and this year organisers expect to double this figure. For further details about the Wakefield Festival of Beer and to pre-book tickets visit www.wakefieldfestivalofbeer.co.uk. https://i1.wp.com/www.woodrichardson.co.uk/wp-content/uploads/2015/10/Wood-Richardson-Wakefield-Festival-of-Beer-lr.jpg?fit=764%2C768&ssl=1 768 764 huttonpeach https://www.woodrichardson.co.uk/wp-content/uploads/2015/07/logo.png huttonpeach2015-10-01 10:42:092015-11-09 14:48:29Cheers for charity!